Experience a fresh new way to create music using your thumbs. With its pocket size, its animated graphics, real synthesizer engines, sync, punch-in effects, built-in speaker, alarm clock and impossibly low price, making electronic music has never been this much fun. 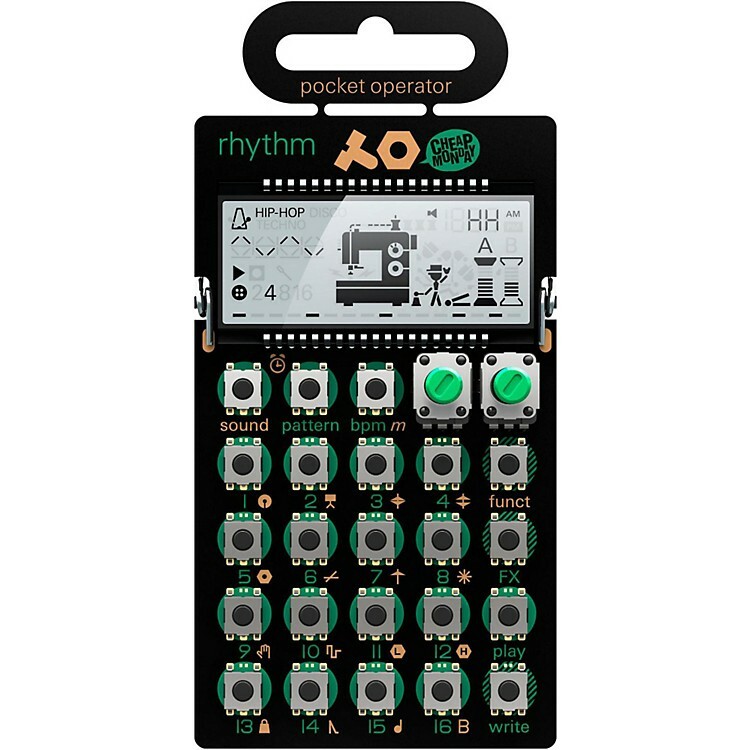 The Pocket Operator - Rhythm (PO-12) drum synthesizer and sequencer features real synthesised drum sounds, sampled drum sounds, 16 punch-in effects including delay, bit crusher and filters, parameter locks, individual step re-trig and more. Order the PO-12 pocket drum synth today!